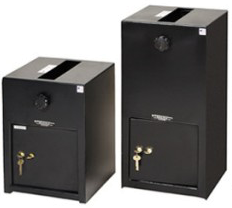 Perma-Vault offers a full range of sizes and lock options and a depository safe to meet almost any requirement. Especially popular are the Through the Wall or Door depositories. 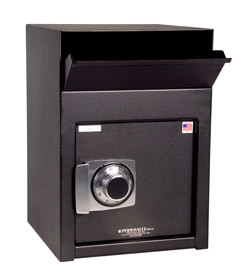 Newly introduced are our Front Loading Depository Safes. 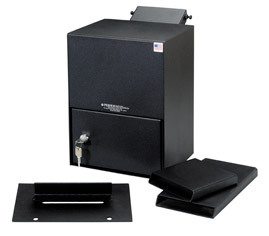 Depository safes are a better choice where large deposits, like bulk deposits or change, may be handled. 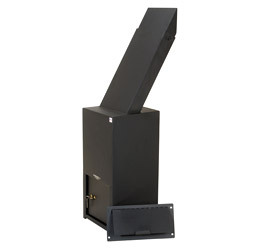 Large capacity depository safes are a good choice for vending trucks, convenience stores, restaurants and offices. Perma-Vault depository safes are all proudly made in the USA.